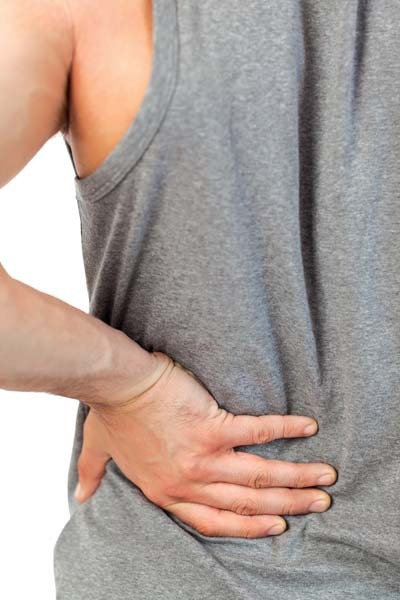 Low back pain is most commonly due to spinal misalignments involving the sacrum and/or the lumbar spine. Acute trauma, chronic posture problems, heavy lifting, and repetitive strain are typical causative factors. Pain can be localized, but can also travel to the buttock, thigh, and leg (See Sciatica for example). If left untreated symptoms can become progressively worse: Numbness, tingling, muscle weakness and possible atrophy, disc degeneration and thus increased likelihood of disc injury.